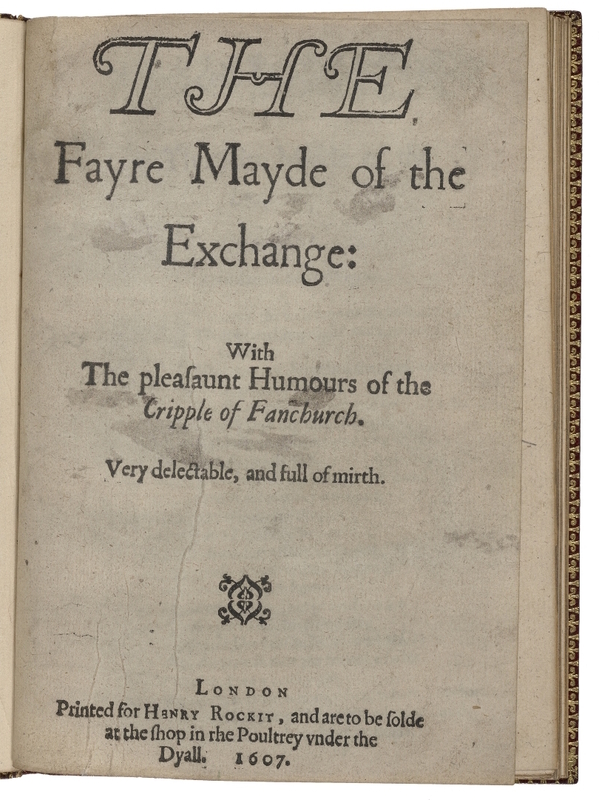 THE Fayre Mayde of the Exchange: With The pleasaunt Humours of the Cripple of Fanchurch. Very delectable, and full of mirth. LONDON Printed for HENRY ROCKIT, and are to be solde at the shop in rhe Poultrey vnder the Dyall. 1607. Title page imaged from Folger call number: STC 13317 v.1. Image is not from the transcribed copy.